Hi, blog fam! Long time no see! I have yet to publish a blog post since my major website renovation. In the last few weeks, I have had some incredible experiences that have absolutely shaped my year thus far and I definitely don't want to skip over sharing them. Although I could write endlessly about my life this winter, I will choose instead to share my top three highlights! Wow. Where do I begin? This had to be the first highlight shared and will remain a highlight for the rest of my life. 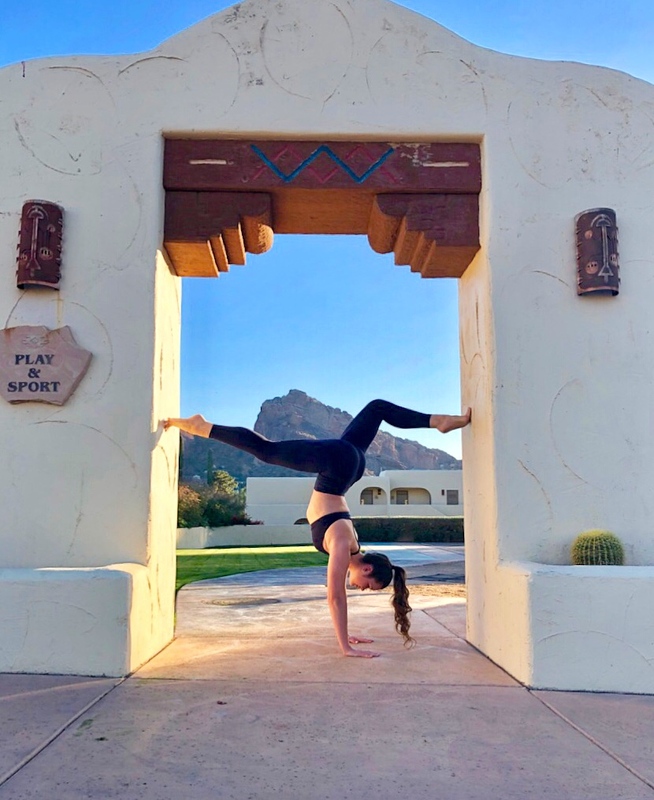 In January I had the opportunity to attend a wellness retreat in Scottsdale, Arizona hosted by JW Marriott Hotels and Nora Tobin, celebrity trainer and lifestyle coach. We stayed in the Camelback Inn, one of JW Marriott's many resorts and spas. The retreat took place over four very transformative days. We started each day with a high-intensity workout and a superfood smoothie. All of our meals were hand-selected by Nora, a nutrition specialist, and crafted by master chef, Paul Millist. We also enjoyed spa treatments, a hike up the great Camelback Mountain, and daily yoga and mindfulness sessions. Not only did I take away tools for a more healthy and inspired life, but I made great friendships and gained a mentor in Nora. PEAK found me at a time where I lacked motivation, drive, and optimism. I was intimidated going in to the experience because I had no idea what to expect, but was instantly put at ease and felt right at home. I'm so grateful for what this retreat brought out of me, and I want to book a one-way ticket to Scottsdale, my desert paradise! If you want to learn more about PEAK, click here! Last year was a tough one for me. I lost my grandfather, my job, and my favorite spin studio all in one fell swoop. To say that I spent 2017 in a funk is a major understatement. I have had a difficult time bouncing back, and at times I feared that the unhappiness was permanent. Now I like to say that I rejoined the "happiness club". I'm living in a state of stability and comfort once again, and it feels so good. It's definitely something that I continue to work on, but I'm in an upswing and I will not take it for granted. And that's a wrap! At least for this season! This winter has been great and I am so excited for what's coming up next. With my mega website revamp and return to my blog, you can expect new posts weekly, exciting upcoming collaborations, video content, and more!